Summer is upon us and it is hot! hot! hot! These warm summer days makes me crave for the many delicious Filipino refreshments I loved while growing up in the Philippines. I thought this would be a good topic for us to talk about here at Kwento-Kwentuhan. 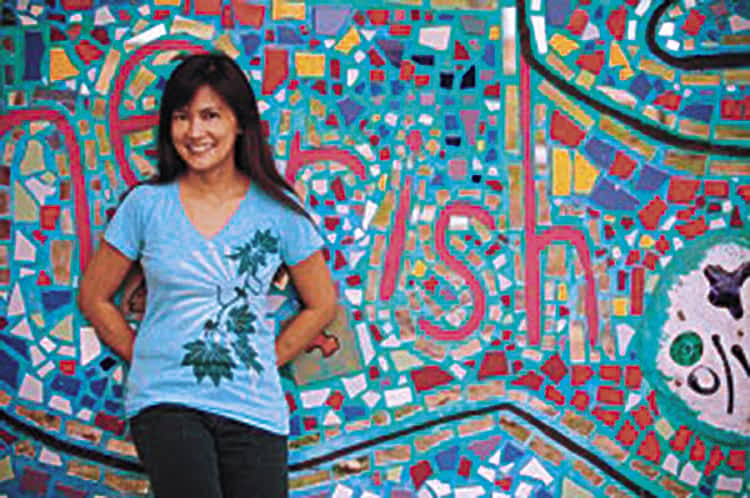 Maybe this will inspire you to make some of these refreshments here on Maui or anywhere you are right now. Perfect for summer! 1. 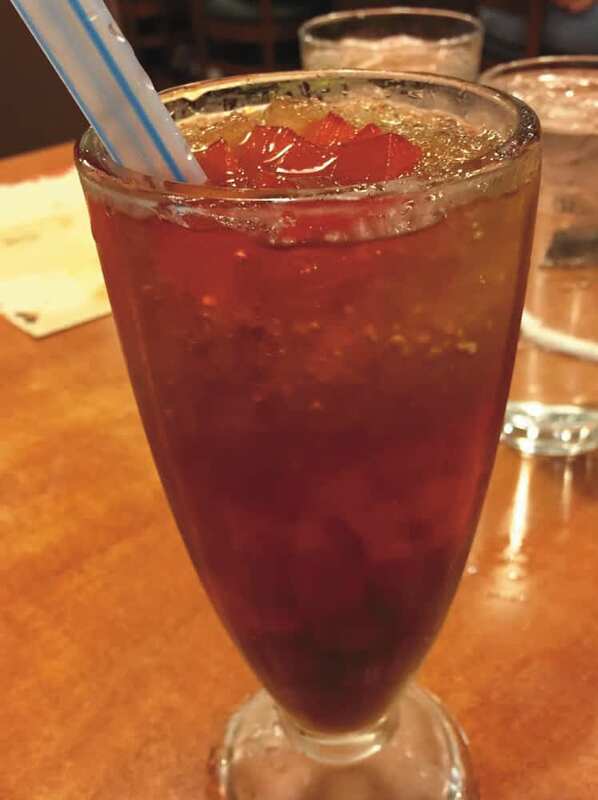 Sago at Gulaman – Basically this drink consists of Tapioca Pearls (that’s sago) and cubed gelatin (that’s gulaman) with icy water and brown syrup (called arnibal). Take note that sago pearls are the bigger tapioca pearls, not the tiny ones we see on some desserts here on Maui. The sago tastes better when boiled with brown sugar and cooled off before mixing with the drink. The gelatin cubes are made with agar-agar (a form of seaweed) and not the jello we are familiar with here on Maui. The arnibal is a mixture of water, brown sugar and vanilla (and sometimes pandan). I like the plain sago at gulaman but others prefer the variety with condensed milk mixed in it. 2. Buko Juice – Buko (“boo-koh”) refers to a young, immature green coconut, and also to their meat. Buko Juice is usually a mixture of the coconut water, shredded coconut meat (or coconut flesh, whatever you prefer to call it), milk, iced water and natural flavor from pandan leaves. Oh, the smell of pandan makes it a memorable drink! The leftovers can be made into Ice Candy. Similar to sago at gulaman, the variety of this refreshment is when milk is added instead of just the plain juice and sugar water. 3. Melon Juice – We call it “melon” but to be specific, it really is cantaloupe that we are talking about here. Similar to buko juice, we use a “shredder” to gather the melon flesh. The shredder is a small scraper that has a wooden handle with stainless steel tips. One side (with small holes) produces nice fine long shreds while the loop end provides wider “shavings.” If the shredder tool is not available, you can use a fork to scrape the flesh and gather the juice. This melon juice is so refreshing and easy to make, I am surprised that it is not as common here on Maui with an abundance of cantaloupe especially during the summer. Calamansi Juice is the Filipino version of lemonade and limeade. 4. 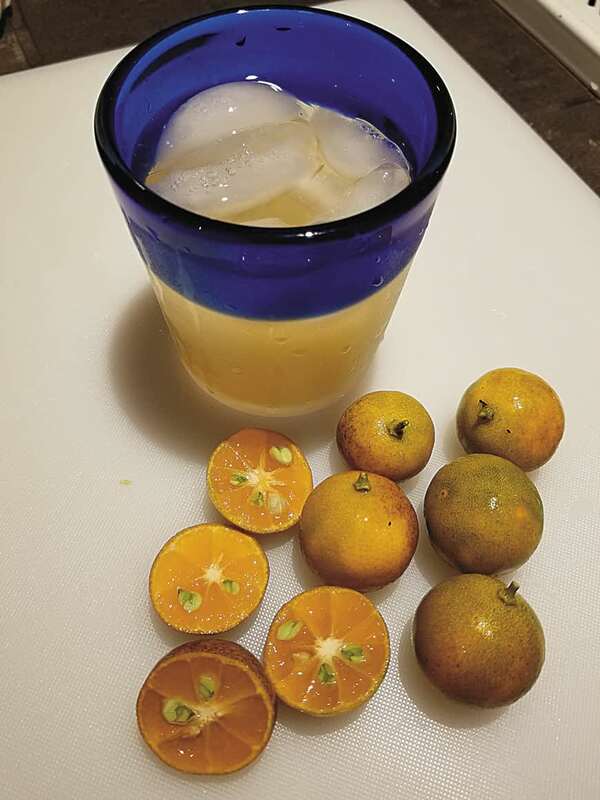 Calamansi Juice – Here in America, and Maui, lemon juice is the common thirst quencher. However, in the Philippines, calamansi is more common than lemon, therefore we make calamansi juice more often. Calamansi Juice is the Filipino version of lemonade and limeade. Calamansi is known in America as calamondin, although here on Maui, we call them calamansi as well. As my mom says, calamansi is fully packed with Vitamin C which is good for strengthening the immune system, weight loss, fighting colds and flus, and even fighting infections—it’s good to drink calamansi juice regularly. There are many more yummy and cool refreshments we can talk about but will stop here for now. If you are a Filipino reading this article, I am guessing that your mouth is watering and you would probably make one of these drinks after reading this. If you are non-Filipino and not familiar with the refreshments we discussed but would like to try them …simply “google” each of the drinks I mentioned and you’d be surprised how many YouTube tutorials and Recipes on Blogs are available on these famous Filipino refreshments. Now if you’ll excuse me, I am going to our kitchen to make myself a refreshing calamansi juice. Until next time, cheers!